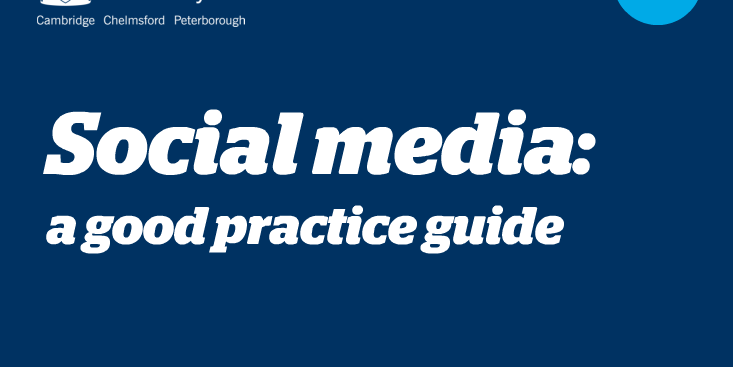 A resource to help our students and staff learn how best to use social media in the context of their academic work. The tutorial demonstrates the use of some of the main social media tools from the point of view of the tool but also from the opposite direction of finding the right tool to carry out the desired action. The plan is to add it to a Libguide on Digital Literacies, as part of our Information and Digital Literacies Framework, but it could also be linked from the VLE or elsewhere as only the url is needed. This resource was adapted from one developed in Articulate Storyline 1 by a team from the Universities of Manchester, Leeds and York. Storyline is a very versatile package with many functions that can be used to different levels and therefore accessible to novice and expert users. In this case, the original tutorial was developed by an expert in the use of the software and reused by a librarian with some experience of developing resources from scratch but enough understanding of how Storyline works to be able to adapt the existing files. Those wishing to reuse the resource can either download the original files from Jorum or contact the developer. A licence to Articulate Storyline will be needed to be able to edit the files. The tutorial was created from an existing resource, with the files downloaded from Jorum, by one librarian who has the lead role for e-development within the university library in addition to managing a team of librarians. This being the case, there is a great deal of pressure on time and little available for development of online resources, so it was extremely useful to be able to access a resource developed by one of the leading experts in using Storyline within the academic sector. The librarian has some experience in developing Storyline resources from scratch so was familiar with the basics of the software, but not an expert in using the more complicated features, and little in the way of graphic design skills. The files were imported into a ‘new project’ in Storyline and all that was necessary was to change the colour scheme to fit with our ‘Study Skills Plus’ layout and to resize some text, objects etc. when our fonts proved too big for the original shapes. Some of the text was also revised to remove references to services specific to the original universities, and where it was felt to be a little too text-heavy. It should be said that at the first attempt some ‘triggers’ failed to work – the reason for this was never ascertained, despite exhaustive and detailed going over of every item in the slides and discussions with the original designer, so it was easier to start again (at which point everything worked). In all, the development of the new resource took about a day. The tutorial hasn’t been widely used as yet. It will be aimed at students and probably embedded in a specific libguide related to digital literacies but may also be used by the Subject Librarians and our colleagues with whom they deliver the Study Skills Plus programme. It may also be of interest to the library staff, as part of our staff learning and development programme. None as yet but one idea is to reuse the format to create a guide for the library staff to using specific tools and packages for particular purposes; we currently use, for example, PowToon, Poll Everywhere, Storyline, Camtasia and this could be a quick guide to point staff to the most appropriate use. For more information, contact Averil Robertson.